Statistically, one of the main deterrents to adoption is money. Understandably so. Amy and I always knew it was expensive, but when you really get into it, it’s not just expensive to bring a child (or a few of them) into your home, it’s REALLY expensive!! It’s an issue for most of us. We don’t have $35K or $40K lying around we can just spend on something, even as important as adoption. It’s an issue….but if you’re thinking about adoption, please don’t let it be THE issue. Let me give you four reasons why money shouldn’t be the determining factor in whether or not to adopt an orphan. 1. Our FEELINGS about money are not usually telling us the truth. Feelings are deceptive. When it comes to money we often can feel either secure or insecure. When faced with HUGE medical bills, credit card debt, or potential adoption expenses, feelings of fear and “what if” tend to rise up. If you let them be in control you’ll never adopt – or do anything else worth a major financial leap of faith. Don’t let your feelings be in charge. They lie. BUT, if you’re waiting until every financial piece falls into perfect alignment, you’ll never even start. There’s too many variables, too many possible circumstances that COULD happen. You just have to go for it when you feel God has called your number – whether adoption or that other God-inspired leap of faith you’ve been putting off. 3. There is an enormous amount of help out there. From grants, to matching grants, to fundraising assistance, to friends and family (I don’t think you should be afraid to ask them to be a part of helping you radically change someone’s life, giving them a solid future – things like that are priceless), and even low-interest or no interest loans for adoption. Now, you have to be willing to chase down paperwork, write grant applications, and work VERY HARD to get everything done. It can be a big task if you’re on your own. 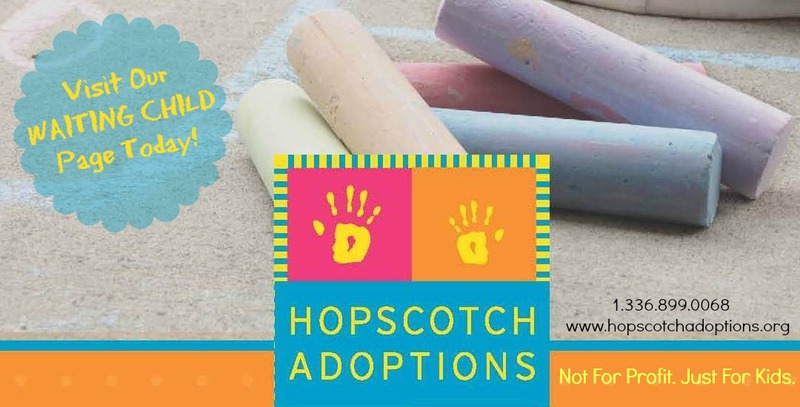 But, chances are, if you’ll hook up with a local group of adoptive families (not hard to find on social media these days) they will give you more info than you’d ever care to have on writing grants! Use the help that’s around you and you’ll see your needs be met. 4. Faith is being sure of what you hope for and certain of what you do not see. I know you don’t have enough money. I don’t either. In fact, Amy and I had exactly $0 to put towards adoption when we started the process. Nothing. Nada. Zip. Zilch. But we did have faith. It’s more important for your FAITH ACCOUNT to have a hefty balance than your BANK ACCOUNT!! At this point, MANY wonderfully generous and kind people who love God and are being obedient to His voice have contributed to these children. I don’t believe those who’ve given have given for any sort of accolade or appreciation, or even because they love our family (some don’t even know us). I believe they’ve given because God spoke to their heart to give; to be a part of changing these four lives, because that’s WHO God is and that’s WHAT God does. You have people like that in your life, too, and if you have faith in what you cannot see, trust God, and pray….like pray A LOT, the Father will provide what you need for the adoption of your kid(s) as well. See adoption is not about you. It never was. It’s about that child or those children. God loves them so very, very much that He sometimes sells a few of those cows He owns on a thousand hills (Psalm 50:10) to give those kids, His kids a chance at a loving and safe home. A place they can meet Him. Adoption (and the payment of adoption’s expenses) says MUCH more about God’s faithfulness and purposes than about our fundraising techniques or the generosity of individuals and granting agencies. If He is the source of it all anyway, all any of us are trying to do is be faithful to what He tells us. This is faith. Believing fully in what God has spoken to your heart. Adoption will stretch your faith in the area of finances. I understand it’s a factor. Just don’t let it be THE factor. Give God a chance to do the miraculous – like He’s done for us over and over, and no doubt so many others. By the way, if you’ll honor Him with your wealth, with the first-fruits of your life (Proverbs 3:5-10), He promises to add everything else to you as well (Matthew 6:33). I’d say that’s a pretty good return on your investment! 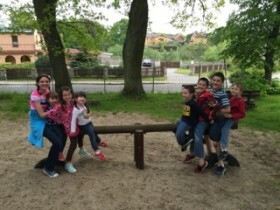 If you would like to connect with Jeff C and learn more about his family's journey to adopt a sibling group from Poland contact Amanda at Children's House International.